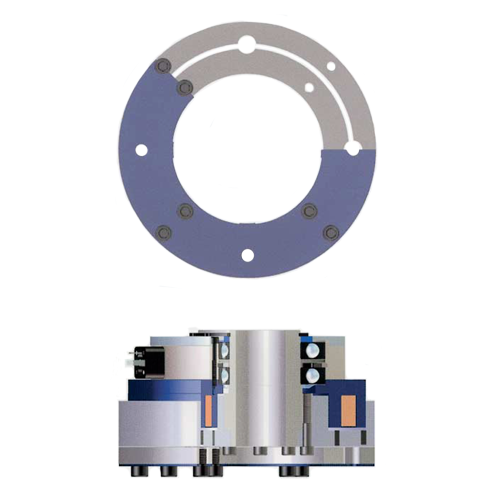 Electromagnetically operated pole face friction clutch with extremely wear-resistant and specially tempered steel-steel friction partners. High torque transmission due to double flux. Without additional friction material, therefore very robust and not vulnerable to dirt and oil.